It's important you understand why you're betting, and not to fall into unthinking, "habitual action." Avoid "habitual action" or routinized play in poker by examining your intent, execution, and results. Thinking poker players need to move beyond "habitual action" or acting by rote. They need to learn how to adapt each action to address the specific situation in which they find themselves. Toward that end, there are three important areas on which to focus in order to move beyond habitual action: intent, execution, and result. I'd like to address all three, at least briefly, to help those players trying to move beyond overly routinized play such as the tight "fit or fold" strategy that helped them win when playing against beginners and otherwise losing players. or some combination of the two (a semi-bluff or semi-demi-bluff). There are other reasons that you might want to bet or raise, such as getting information, controlling the pot, inhibiting bets from others, or establishing your image at the table. But nearly all of the time, these will be secondary reasons. For reasons of brevity and simplicity, I'm here addressing the primary reasons. It's important to make sure that you understand why you're betting, as well as why you're betting the amount you're betting. Too often, players get into a habit of betting in certain situations and betting an amount that is also habitual. Each situation is unique. Your betting intent should recognize the situation for what it is, and respond accordingly. Once you understand why you're betting, you need to consider what betting action and amount will best accomplish what you want to accomplish. For example, if you are dealt a premium pair and want to knock most of your opponents out of the pot in order to see a flop heads-up, consider what you need to do to accomplish that goal. What tactic will further that strategy? Realize that a habitual or expected tactic may not be the right one. If, for example, you generally raise to $10 in a $1/$2 no limit game, or if everyone at your table has generally been entering the pot with a raise to $10, that may not be the right amount for the situation you're in right now. If you want to knock most of your opponents out of the pot, your correct raise may be to $12, $15, or even $20. It depends on your read of the situation. Often, in fact, the old standard of raising three or four times the big blind don't apply at the lower limit games. There's no rule of thumb that will help you. You'll have to determine your raise by what you have observed of the players in the game, your image as it appears to them, the betting action up until that point in the hand, your relative stack sizes, and your position. Similarly, say you're in a postflop situation in which you decide your best action is to bluff a lone opponent you think has a stronger hand. Consider what action, if any, is likely to succeed as determined by the relevant factors in that moment. 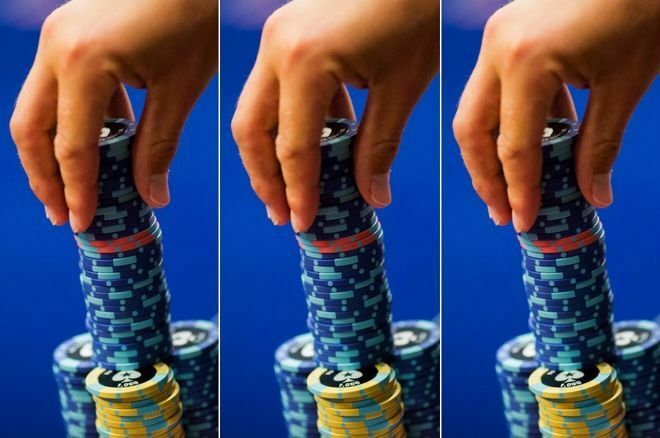 If he has $1,000 and is a loose, wild player, and you have a moderately wild image yourself with a stack of $100, and the pot has $100 in it, you may well conclude that there is no way to bluff him out of the pot. On the other hand, if you have an extremely tight image, the pot has $150 in it, you each have $200, and your opponent is generally very timid, it may be that you'll conclude a bet of $75 is all it will take. Intent and execution are not sufficient in your quest to move beyond habitual action. You additionally need to evaluate how your strategy and tactics are working. What are the results of what you're doing? You must observe, recall, and consider the effectiveness of your betting action. This is how you will learn and improve in both your strategy and your tactics. Simply put, you need to observe what happened in the hand. Did you achieve the desired outcome? Were the tactics you employed successful in achieving the strategy you designed? And if not, why not? For example, if your lone opponent bet $25 and you raised to $100 with the intent of getting your opponent to fold, did you succeed in your goal? You must move beyond the simple fact of whether you won or lost the hand to consider whether you achieved the desired result with your bet. If you failed to achieve the desired result, why do you think you failed? Was the raise not large enough? Was the raise ill-advised in the first place, no matter how large? Did you overestimate how tight you appeared to your opponent? Was the tactic ineffective because your opponent was playing the very top of his range, meaning the raise would likely have worked most of the time, but just not then? These are the types of questions you must ask and answer if you are to get better, something that always needs to be your goal. Doing such work will also help keep you mindful when making future decisions, and wary of falling into the trap of habitual action.